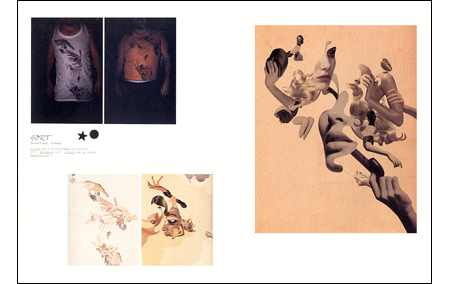 Founded in 2001 in Hong Kong, VICTION:ARY is a design/art-oriented publisher which has been playing internationally. 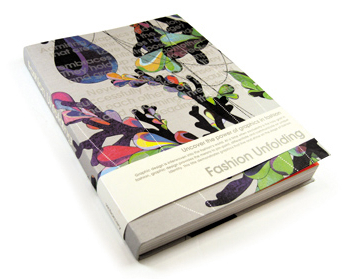 In summer 2007, their brand new book called “Fashion Unfolding” is released. With a main theme set as ‘Uncover the power of graphics in fashion’, Fashion Unfolding focuses on neither industrial nor interior design, but ‘fashion design’. In a big frame of design areas, this book demonstrates how graphic design alters our fashion sense and influences our choices of purchase with 256 color pages featured more than 60 contributing artists. This time, I’ll briefly introduce you with some of captured artists mainly for those who have been appeared on SHIFT before. An art unit HORT based in Frankfurt is one of the most revealed contributors in this book with 12 pages of their photo installation, special font and shop window design done for Nike USA Basketball Champaign launch. 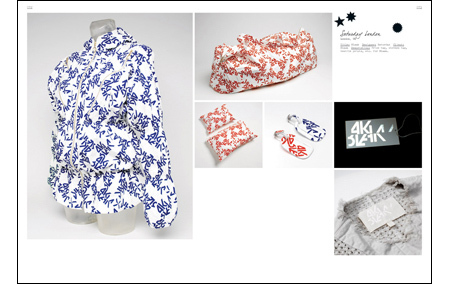 Along this, a collaboration work with Japanese popular select shop “And A” is appeared with T-shirts, Shop bags and art designs dedicated to 2006 Spring/Summer collection. 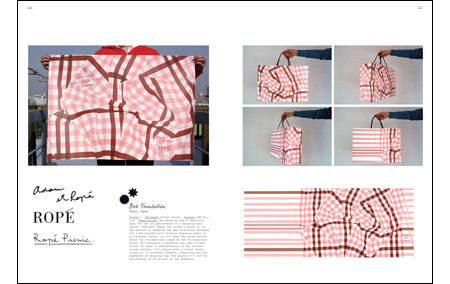 From Bob Foundation a creation unit of Hiromi Suzuki and Mitsunori Asakura, the art project entitled “Crossing Wonderland” at And A again is introduced along with shop bag design for another popular select shop “Adam et Ropé”. Client side, on the other hand, includes many of sport/denim fashion brands that are actively integrated with art/street culture for their branding such as Nike, Puma, and Levi’s. Also exclusive collection brands Comme des Garcons, Chloe and Y-3 are also in this book to introduce how their creative visual are influenced by the angle of graphic designs. Having this book, you’ll reveal the power of graphics in today’s fashion brands and how each inspiration has been influenced to the creation. It is surely a good source for all individual to feel how two different areas of designs are fusing each other and expect further possibilities in the future.